Picture the scene. There are several hundred of us, seated in the IMAX auditorium at the Science Museum. We’ve just watched a screening of Twice Upon A Time – well, most of it, given that the closing moments have been deliberately held back until the network premiere – and onstage, Jo Whiley is wrapping up her Q&A. Peter Capaldi is in Scotland, but Steven Moffat, Mark Gatiss, Pearl Mackie, and David Bradley are all present and correct and talking about the emotional journey they’ve been on. You will read soundbites from this all over the internet – and right here, in The Doctor Who Companion. But one of the highlights came at the end, when Whiley asked Moffat how he’d like to be remembered. And after a brief deflection – “Still alive” – the outgoing showrunner launched into a lengthy defence of the show’s virtues and longevity, one that we suspect he’d been planning for some time. And his response deserves to be quoted in full, because frankly it was hard to argue with him. 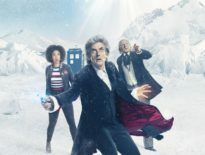 “It’s worth saying – because I don’t think it’s ever said enough – that the reason Doctor Who is so successful, as in humanly successful, for so long, and in such an enduring way… it is actually the greatest television show ever made. “There are probably press here going ‘No, it’s THE WIRE!’, or something. No it’s not. It’s not The Wire. It’s not I, Claudius. It’s not The Office. It’s not even Blue Planet – it is Doctor Who. And I’m gonna prove to whoever is doubting me the hardest that they’re wrong to doubt me. “How do you measure greatness? Do you measure it by ratings? Do you measure it by reviews? Of course you don’t. Do you measure it by perfection? Is Doctor Who perfect every week? No, it’s not. It really isn’t. It can’t be. Because every episode of Doctor Who is an experiment, and if you experiment every single week, sometimes you get a face full of soot and you’re blinking the smoke away and you look a bit ridiculous; that happens. “Perfection is the refinement of boredom. It’s doing the same thing all the time perfectly. Doctor Who, by always being different, can never be perfect – but how do we measure its greatness? 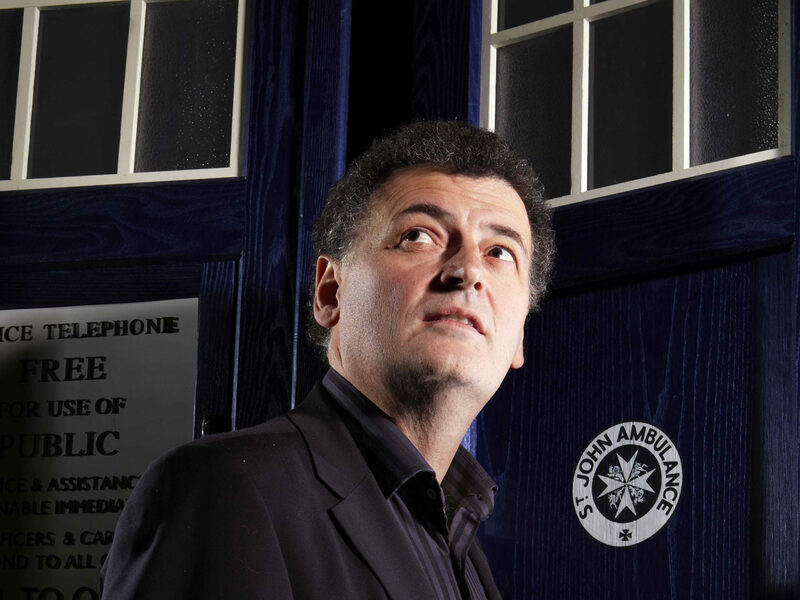 “There are people who became writers because of Doctor Who. Loads of them. There are people who became artists because of Doctor Who. There are people who became actors because of Doctor Who – two of them played the Doctor. There are people who, believe it or not, became scientists because of Doctor Who. And that seems improbable given that we said the moon was an egg; you’d think they’d have a problem with it. But people become scientists. 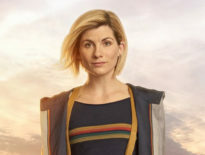 People change their view of the world and what they’re capable of because of a silly show about a man who travels around in time and space in a police box. Twice Upon A Time airs on 25th December 2017 at 5:30pm on BBC1.